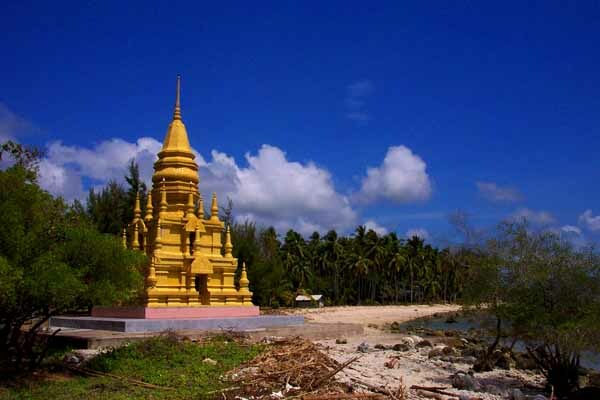 Around the southern-most point of the island is Laem Sor Pagoda, a rarely visited sight that could be the most beautiful spot on Samui. The 'meditation forest' next to the pagoda. The chedi is actually rather old, but restored just a few years ago with glazed tiles that have a mustard color probably meant to look like gold. Next to the pagoda is a small 'meditation forest' of trees with places to sit and even a few tables. 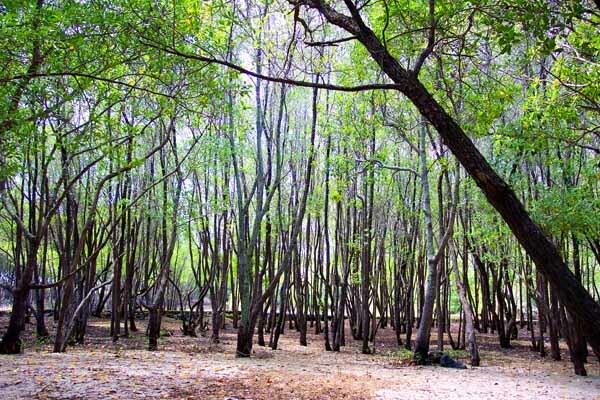 Surrounding the forest on two sides is a man-made lagoon with some mangrove trees planted along the ocean side. On Buddhist holy days, monks and lay people will come fill the forest and grounds in a festival atmosphere. The rest of the time, its a quiet and beautiful spot for a picnic. 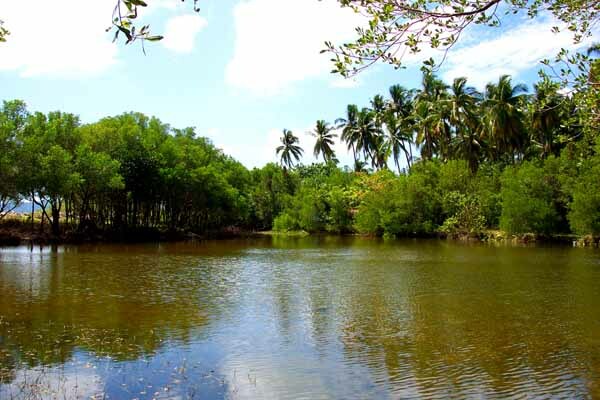 A man-made lagoon near the pagoda. The chedi sits right on the beach, which in front of the pagoda is quite rocky and wild, with great chunks of driftwood thrown about. To the east of the chedi, the beach is a bit more sandy, and often almost deserted. There used to be some bungalows here, with the unlikely name of 'Waikiki', but they went out of business and the stretch has just a few private homes on it.